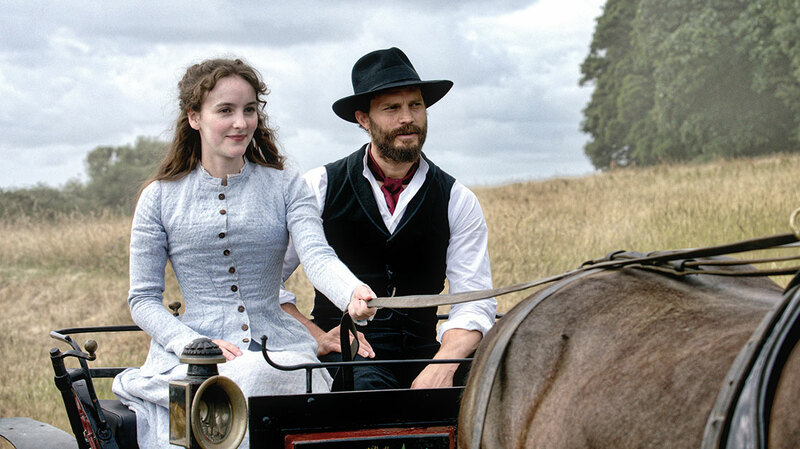 The Fall scribe Allan Cubitt and Imaginarium Studios co-founder Jonathan Cavendish have teamed up for the BBC’s latest period drama, Death & Nightingales – a project a long time in the making, they tell DQ. 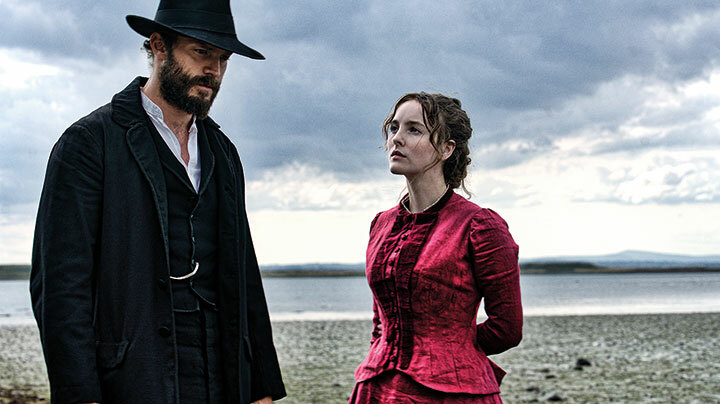 Movies and TV dramas almost always take a long time to make it from conception to premiere, but few projects can hold a candle to the BBC’s forthcoming period drama Death & Nightingales in that regard. 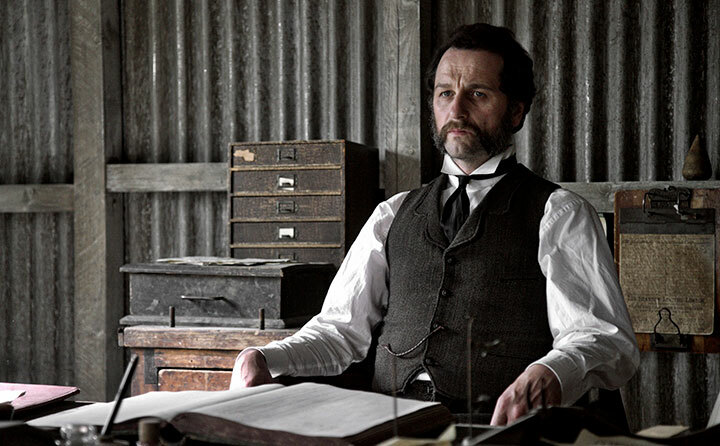 Producer Jonathan Cavendish first optioned the 1992 novel of the same name by Eugene McCabe 20 years ago and is only now getting close to realising his ambition of seeing the book on screen. One of the problems of adapting the book for the big screen was that it is split into three parts, set over a 24-hour period in 1885 in which a Northern Irish woman decides to use her 23rd birthday to escape her difficult relationship with a landowning stepfather with the aid of a charming suitor. 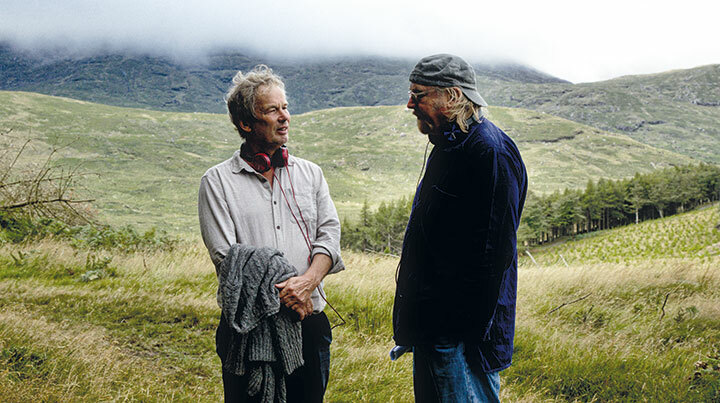 A discussion with writer and director Allan Cubitt (The Fall, The Hound of the Baskervilles) helped break the deadlock. “Allan had previously worked on an adaptation of it as a movie and we thought it would work well as a three-part television series with him adapting and directing and all the feature-film qualities of shooting, art direction and performance,” Cavendish says. But there was some continuity from Cubitt’s last drama, most notably in the location (Northern Ireland) and the return of Jamie Dornan, who played serial killer Paul Spector in The Fall and now stars as Liam Ward, the man looking to help Ann Skelly’s Beth escape from her stepfather, Billy (Matthew Rhys). “Jamie was always on the cards. It was a question of whether he could do it,” Cubitt says. “Casting is always critical, but it’s particularly vital when you’re attempting to bring a book to the screen that the casting feels right for not only the screenplay but also the novel. Jamie is great to work with, he’s easy to have around on set. The more I developed the character and slightly changed it from the source material, the more it became a part that Jamie could do brilliantly. “I’ve always admired Matthew as an actor. He’s not from Northern Ireland but he has a great ear for different accents. He’s the sort of actor that wouldn’t say yes to a part if he didn’t think he could pull it off, and he’s been brilliant. Competition is fierce in scripted, with star names from the film world and big budgets from the streamers abounding. Casting can be key to cutting through, particularly with someone like Dornan – best known for starring in the 50 Shades of Grey movies – but that’s easier said than done. “There’s so much stuff that’s really good that there’s no point trying to do something unless you’re thrilled with it. Twenty years ago, there was a lot of so-so television being made and now there’s much less,” says Cavendish. “When you make these shorter-length shows, the problem is getting the actors. We were very lucky to get Matt and Jamie, because people of that calibre are often tied into very long shows. Cubitt says his usual writing process is “quite complex,” starting with an area of interest and then a prolonged “laborious, meticulous” period of reading and researching around the subject and note-taking with an eye on potential scenes, characters and narrative arcs. A detailed treatment will follow, with input from producers and experts to refine plot and character. “I don’t really script until I’ve got that in place – the actual scripting will go quite quickly and be a pleasure compared with the development process, if the treatment holds up,” he says. But how does this change when it’s an adaptation of an existing work like Death & Nightingales? “The process is different because although I can research and investigate the materials, my starting point is Eugene’s novel,” Cubitt says. “In a sense, I’m cutting into the research that he’s done and making use of that. Eugene’s a dramatist so his dialogue has great quality. His idiom in Death & Nightingales is fantastic, so a lot of the time it’s about staying faithful to what he has created, but not in a slavish way. “There is a complex process of transformation that goes on, and any adaptation involves a reinterpretation and recreation of material. You tend to end up concentrating more tightly on central characters when you come to filmmaking as opposed to the novel, where you might take a digression with a secondary or peripheral character. For Cavendish, it’s been worth the wait. And with the current ongoing political debate about the status of the border between Northern Ireland and the Republic, the production has actually turned out to be quite timely.